I'm married to a man who looks up at the sky every time an airplane flies over head. I mean it. Every. Time. He's a pilot. He owns roughly 500 framed airplane pictures (for the record, that's down from the 750 he had before we got married). He eats, breaths, and pretty much lives for airplanes. 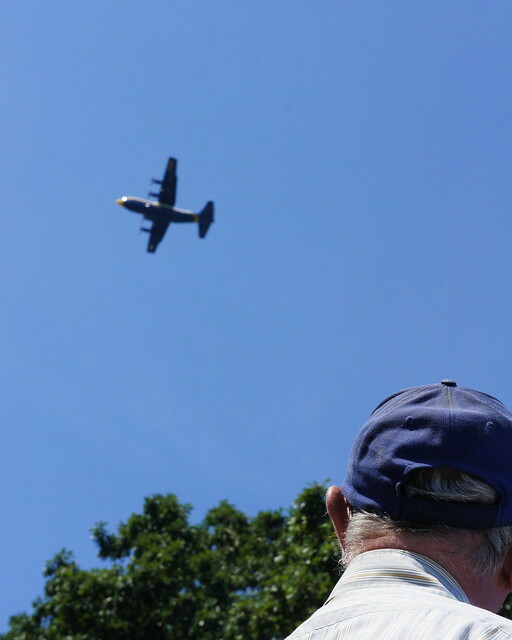 You can imagine the shock (and horror) that appeared on his face last Thursday when I told him I'd never seen an air show. 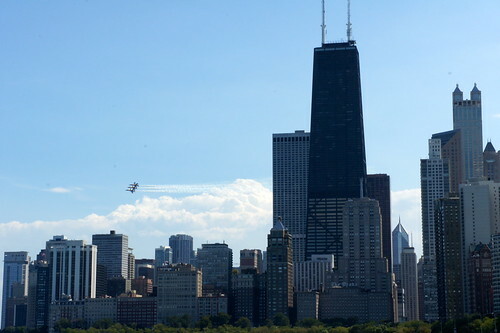 Thankfully, we changed that on Sunday when we attended the Chicago Air and Water Show. 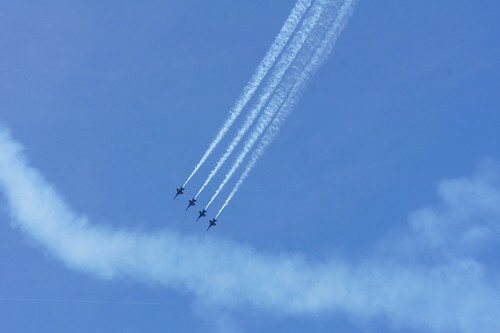 I've heard tales of the Blue Angels and their magical maneuvers. Truthfully, I've never really bought into the hype. 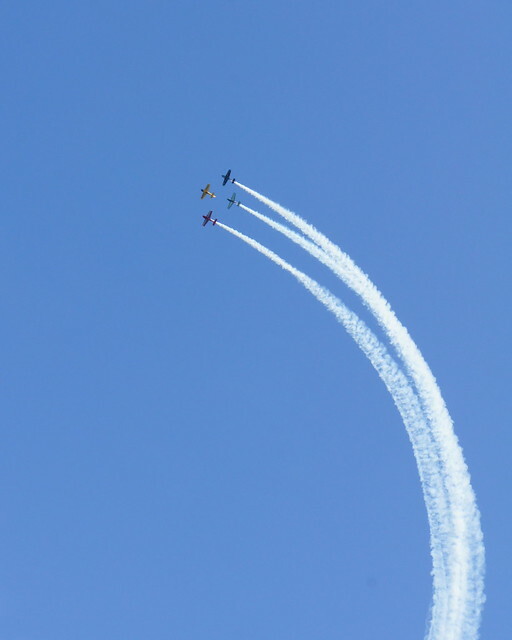 But after witnessing their impressive aerobatics over Lake Michigan this weekend, I'm totally sold. 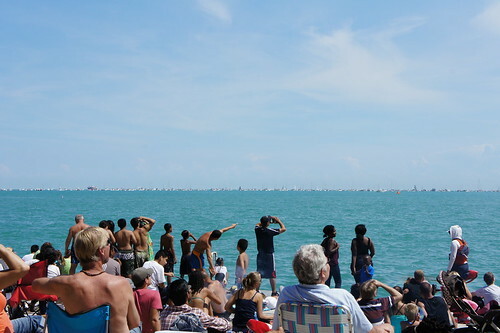 I think it's safe to say this won't be the last air show I attend. Would you shock my hubby too or are you an air show veteran?